Paytm is the major beneficiary of demonetization. Paytm transactions grew several folds after the demonetization as majority people chose the digital mode of payments and PayTM is the first payment interface platform many people can remember at a glance. 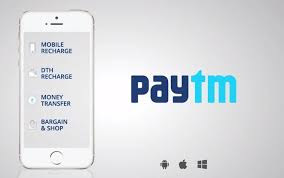 Paytm, a few months back waived off the transaction charges for the money transferred to the bank account in a view of getting more people to use its platform. People have found out a loophole in the PayTM's service that allowed people to add money from their credit card at free of cost and then the money can be subsequently transferred to their bank account to get free loyalty points for using the credit card. For the money add through credit card, Paytm pays 2% service charge to the credit card issuing bank. Paytm says that it is incurring losses when many people perform such kind of practices. To abate losses and to keep a check on so-called rotation of money, will now start charging customers a fee of 2% for adding money using a credit card. However, there is no charge for transferring money to bank account. Keeping in mind the valuable customers Paytm will return the 2 per cent charge in the form of coupons. The coupons will be sent to the user in an email & SMS within 24 hours of adding money. These coupons can be used on Paytm for various services including recharges, bill payments, movie tickets, shopping, bus tickets, Air tickets & all other services on Paytm. However, it cannot be used for Add money transaction.